David Cameron, Pope Francis I and me! Pope Francis I is calling for peace during his first visit to Israel this week. As the media is showing him visiting various sites about Jerusalem, like the Holocaust Museum and the Church of the Holy Sepulchre, it is reminding me of my visit to the Holy Land. It’s a year since I flew there. It’s not often I go somewhere without my family, but this was a heartfelt calling. For several years I had been feeling a growing desire to walk where the Lord once trod. I had talked about it to friends and out of the blue, Philippa of Jersey sent me an email asking me if I fancied touring the Holy Land with her. For a special birthday I decided to make my dream come true, with my hubby’s approval. Looking back, I was in shock the first few days in Israel. Not because I was shocked by the country, it just took me a while to realise I was actually there. It was a bit of a culture shock as it was so hot, so noisy, and so cosmopolitan but I loved it! We had no worries about our safety. We almost felt safer there than in the UK. We saw the soldiers with their guns but we were there for peaceful purposes so had nothing to worry about. At one point on the tour some Border Guards walked through the coach as part of the border crossing procedures, but our guide forewarned us, so we felt OK about it. 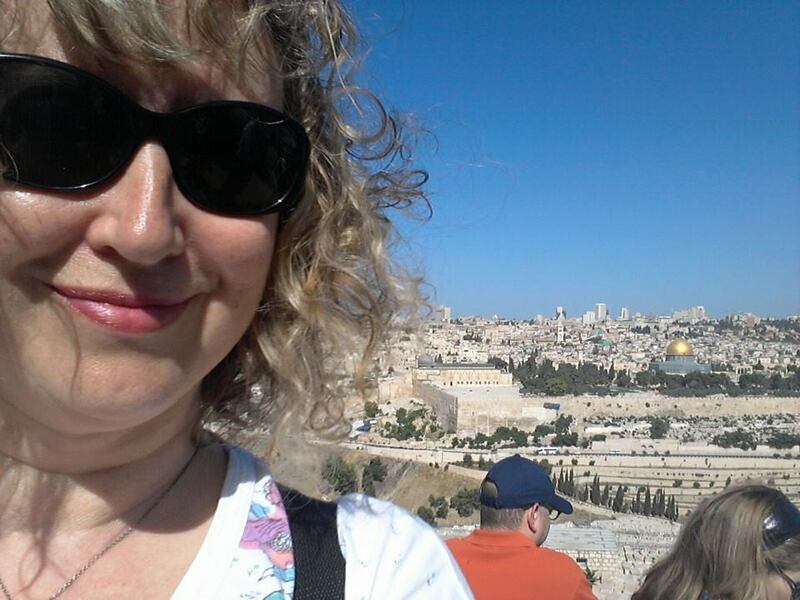 Visiting the Holy Land has made a massive difference to me spiritually. It made the places and the people mentioned in the Holy Bible seem so real. I felt part of God’s people and God’s Kingdom. I hated the religious sites, which had been claimed by the various churches to make money, but they did not overshadow my tour as I had special moments with the Lord at the Wailing Wall and on a boat on the Sea of Galilee (you can read about those on my earlier blogs). So if you get the opportunity to visit Israel, I would highly recommend it. You can join the long list of people who have been there like David Cameron, Pope Francis I and me! This entry was posted in Christian, Encouraging, Jewish, News, Travel, Uncategorized and tagged David Cameron, Israel, Jerusalem, Pope Francis I, Pope' trip to Israel. Bookmark the permalink.